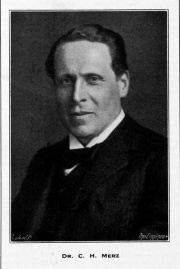 This week I bring you the fascinating story of Charles Hesterman Merz (1874-1940) of Merz and McLellan, a British electrical engineer who pioneered the use of high-voltage three-phase AC power distribution in the United Kingdom, building a system in the North East of England in the early 20th century that became the model for the country’s National Grid. 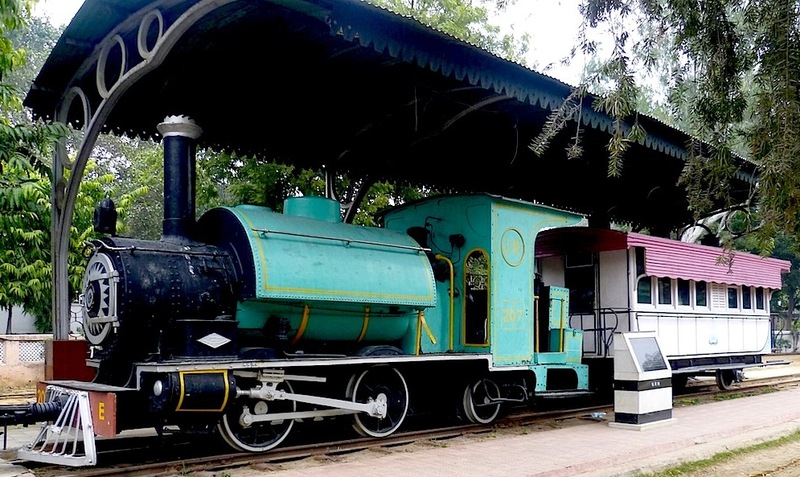 He was the key person who converted India’s first railway system, the Great Indian Peninsula Railway, into an electric railway originating from Mumbai. It was in 1913 that he visited India on invitation of the Government of Bombay to advise on electrification of its suburban railways. He died in a German bomb attack on his Kensington house during the second world war in 1940 at the age of 66. Here’s his timeline from the Grace’s Guide to British Industrial History (http://www.gracesguide.co.uk). Born on October 5 1874 in Gateshead the eldest son of John Theodore Merz (from a German Quaker family) and Alice Mary Richardson, the sister of John Wigham Richardson the Tyneside ship builder. In 1894 he became a pupil at the Robey and Co engineering works in Lincoln. He then went to the Bankside Power Station of the City of London Electric Lighting Co, superintending contracts for the British Thomson-Houston Company (BTH), manufacturers of electrical plant, of which company his father was at that time a director. At the age of twenty-three he was appointed manager and engineer to operate the plant which BTH had provided for electricity supply in Croydon. In 1898 Merz became the first Secretary and Chief Engineer of the Cork Electric Tramways and Lighting Co, Ireland. 1902 With the arrival of William McLellan, the firm became Merz & McLellan. Merz and McLellan had first worked together in Cork. His next major project was the Neptune Bank Power Station in Wallsend near Newcastle. It was the first three-phase electricity supply system in Great Britain, and was opened by Lord Kelvin on 18 June 1901. In the same year he toured the USA and Canada. He was known affectionately within the electricity industry as the “Grid King”. He was a consultant to a local tramway company on the electrification of their horse-drawn routes and, subsequently, to the Tyneside local lines of the North Eastern Railway, a pioneer of British mainline railway electrification, whose electric systems were turned on in 1904. As well passenger commuter lines, these included a 0.75 mi freight line using the ES1 electric locomotive. 1905 he first attempted to influence Parliament to unify the variety of voltages and frequencies in the country’s electricity supply industry, but it was not until World War I that Parliament began to take this idea seriously, then appointing him head of a Parliamentary Committee to address the problem. Between 1907 and 1913 Merz was hired by Thomas James Tait to electrify the railway system in Melbourne, Australia. The new system began operation in 1919. 1913 June 18th. Married Stella Alice Pauline Byrne de Satur (b. 1883/4), daughter of Edmond Charles R. Byrne de Satur, artist of Dublin; they had a son and a daughter. 1916 Merz pointed out that the UK could use its small size to its advantage, by creating a dense distribution grid to feed its industries efficiently. His findings led to the Williamson Report of 1918, which in turn created the Electricity Supply Bill of 1919. The bill was the first step towards an integrated system. He also sat on the Weir Committee, which produced the more significant Electricity (Supply) Act of 1926, leading to the setting up of the National Grid. Merz’s own system ran at 40 hertz, 20,000 volts, but he was forced to convert it to 50 hertz to match the rest of the British system. 1940 Merz designed the electric drive equipment for the TOG 1 tank. In the same year, he and his two children were killed at their house in Kensington, London, by a German bomb. Merz, his two children, and two servants, were killed by an enemy bomb at his home, 14 Melbury Road, Kensington, London, on the night of 14–15 October 1940. The house was completely demolished, only Mrs Merz escaping, though injured. In the field of electricity supply Merz ranks as the premier electrical engineer in the first half of the twentieth century.